Mom, what’s for dinner or honey, what’s for dinner are common refrains that I hear in my house. Well on days that I don’t want to cook, I have to feed the family somehow. Telling a 3 year old and 8 year old to fend for themselves wouldn’t go over so well, so we go out to eat instead. However, finding a good family friendly restaurant option can be challenge in of itself. I love Rainforest Café. I used to work there as a waitress in my pre-kid years. 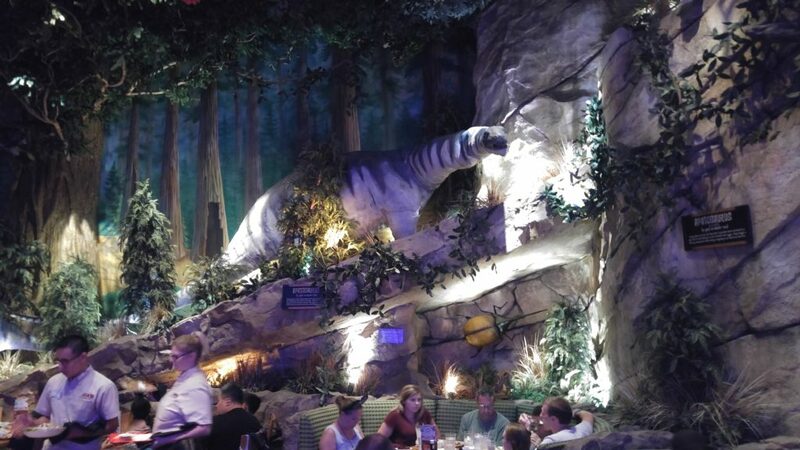 The restaurant is made to appear, as a surprise surprise, Rainforest. 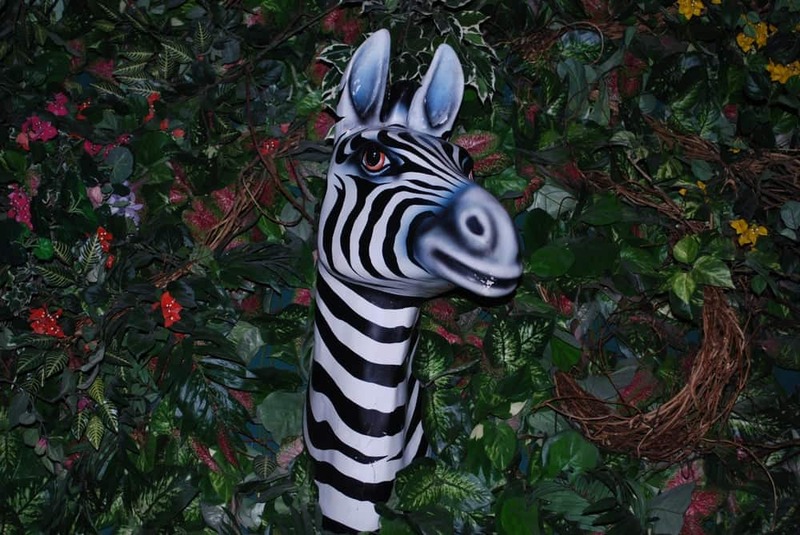 Every 30 minutes there is a faux rainstorm with lightning and thunder where all the animatronic animals go crazy. 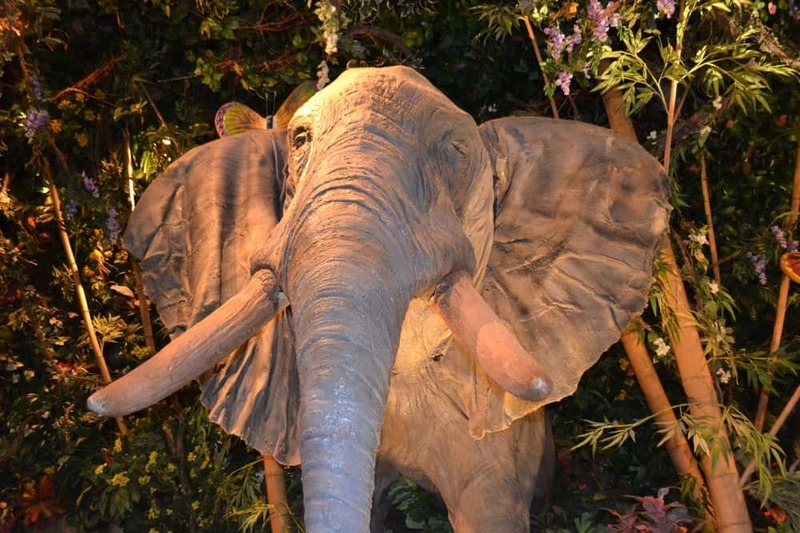 Inside, there are a variety of animals, including elephants, gorillas, monkeys and more. Don’t think you are going to have settle for unpalatable food. Rainforest has great food for both adults and kids alike. We recommend the Pastalaya and the Mojo Bones. 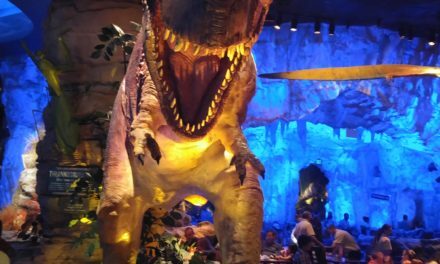 T-Rex features replicas of dinosaurs as well as animatronic dinosaurs that come “alive”. The restaurant also features a wooly mammoth and a giant octopus with tentacles that move. The restaurant is separated into different rooms. There is an ice age room, a meteor shower room, and an underwater room. You are allowed to walk around the restaurant and look at the different rooms and all the animals. Every 20 minutes a meteor shower takes place; that’s when meteors stream across the sky, I mean ceiling of the restaurant, and all the animals go crazy. The restaurant does get dark at this point and there is thunder in the background. 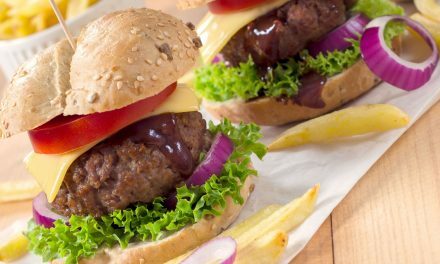 The food is nothing to write home about; I would recommend sticking to burgers and fries at this restaurant. 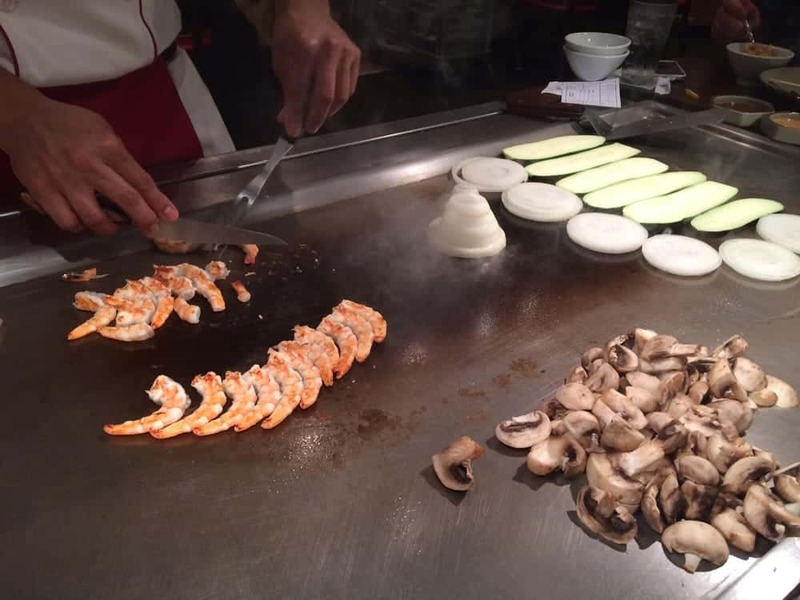 My 8-year loves going out for hibachi and Benihana is the original hibachi restaurant. We took my 3-year old recently and he loooooved it. Words cannot express how much he loved it. 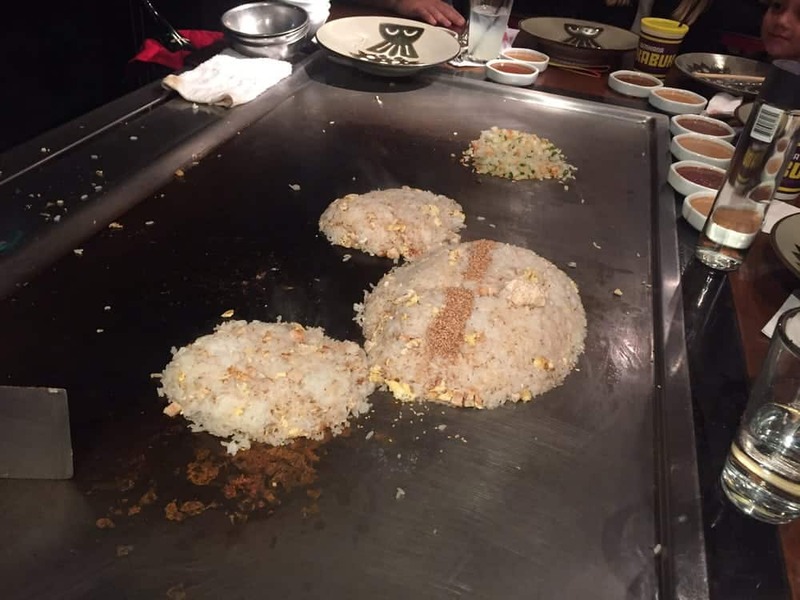 If you have never been out for hibachi, it is dinner and a show rolled into one. Everyone sits around a cook, who cooks the food on a hibachi grill right in front of you. There is flipping of cooking tools, food flipped into mouths, fire volcanoes and more. 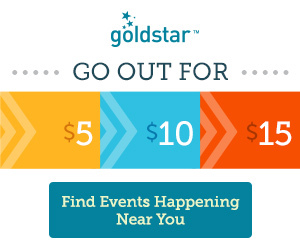 It can be a little pricey, so I would recommend it for a special occasion, but it is well worth the cost. Who doesn’t want to dine in a candy factory? The Sugar Factory is a great place to go to for breakfast, lunch or dinner. 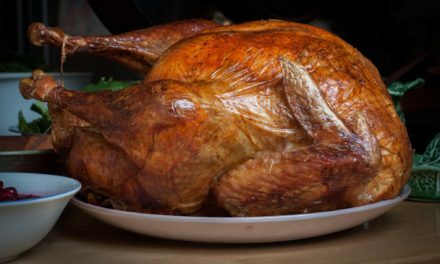 They have a variety of menu items that are great for both adults and kids. Macaroni and cheese pops, chicken and waffles, cookies and cream pancakes and crepes are just some of the items they have on the menu. Kids will love getting one of the specialty drinks served with dry ice to give it a smoky look; they also come with alcohol for the adults. For dessert order one of the specialty milkshakes, sundaes or hot chocolates. 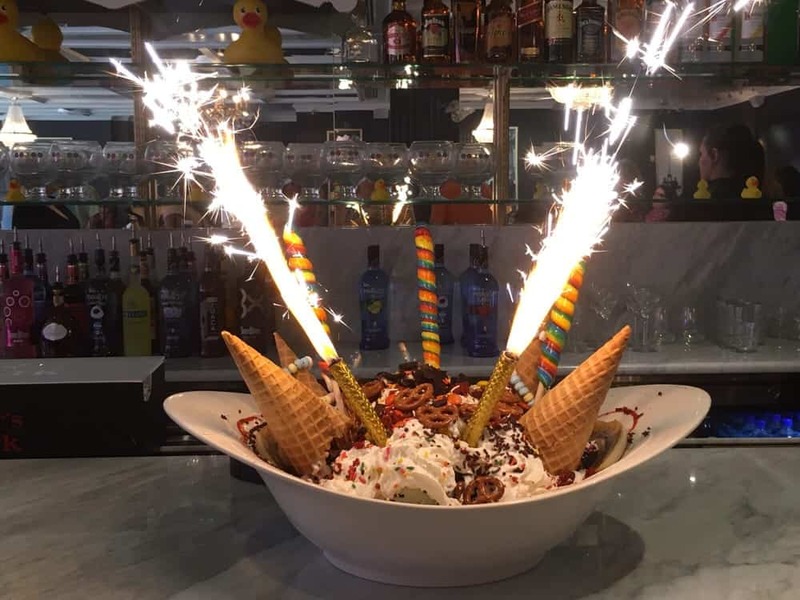 If you and your brood are especially hungry then order the King Kong sundae; it is 24 Scoops of Ice Cream covered with Hot Fudge, Caramel and Strawberry Sauce, Sliced Bananas, Toasted Marshmallows, Reese’s® Pieces, Chocolate Chip Cookies, Crushed Waffle Cones, Gummi Bears, White Chocolate Strawberry Shavings and Toasted Walnuts with Whipped Cream, Giant Lollipops and Sparklers on top! 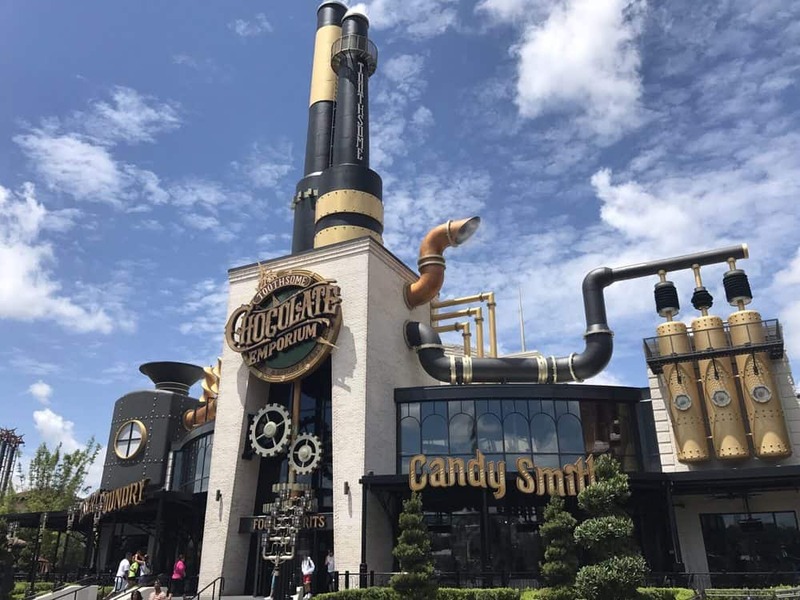 Take the kids over to Universal CityWalk to enjoy the steampunk world of Toothsome Chocolate Emporium. 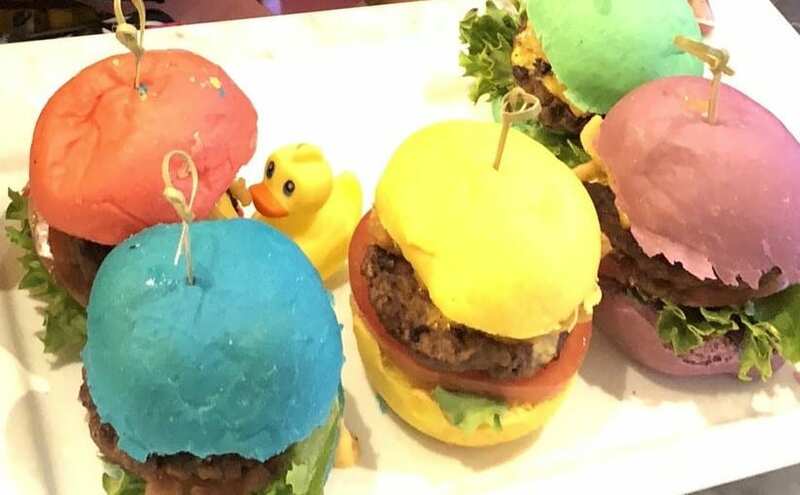 Yes, they do offer traditional restaurant fare such as burgers, pizzas, pastas and salad, but why you are really going is for the desserts, especially the over-the-top milkshakes featuring candy bars, chocolate covered bananas, rice krispie treats, cupcakes and more. 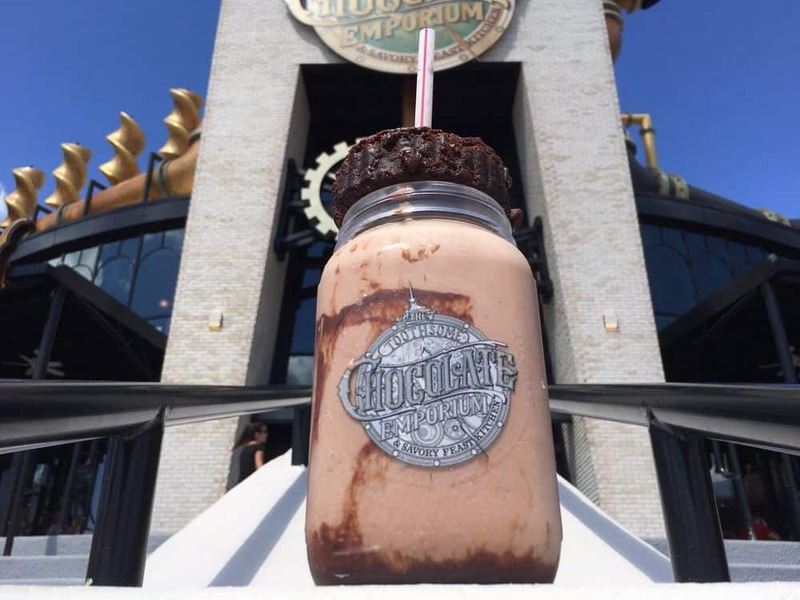 Kids will also enjoy meeting Penelope Toothsome, the proprietor of Toothsome Chocolate Emporium. Penelope traveled all over the world and learned how to make special chocolate recipes. She decided to open an emporium and share her recipes with the world. Penelope has a robot named Jacques who also makes appearances at the emporium. 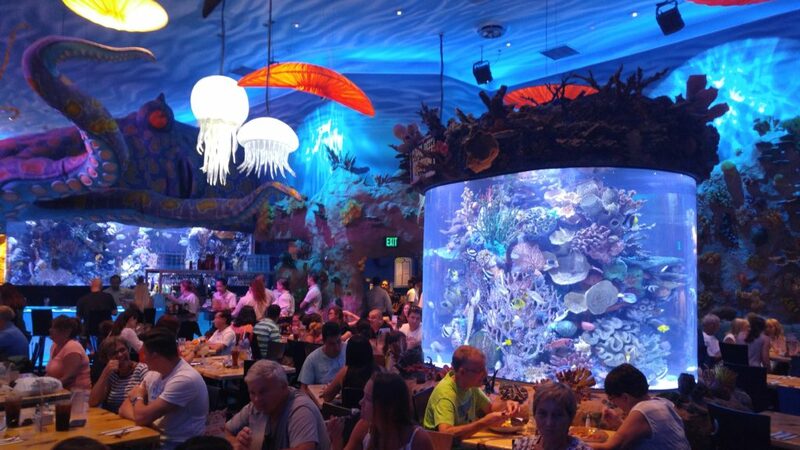 Which Orlando family restaurant do you want to dine in?